What: a free event to improve Wikipedia’s coverage of women (living or historic) and their achievements. Wikipedia is read many billions of times each month by people all over the world, yet it has a well-documented imbalance in its contributor base. Only around one in ten contributors is female, and this bias is reflected in the quality of articles relating to women. The Bodleian Libraries and IT Services are helping to address this problem by supporting a series of edit-a-thon events helping people create or improve Wikipedia articles relating to women. Over the past six months, attendees have created articles about, among others, Oxford chemist Véronique Gouverneur, Internet security pioneer Anne-Marie Eklund Löwinder and 17th century diarist Diana Astry. We have transcribed works by Mary Somerville, making them available in electronic form for the first time. We have made improvements, or uploaded images, to dozens more articles. The event in March is not just about women in science and technology. Nor is it restricted to writing biographies of women. 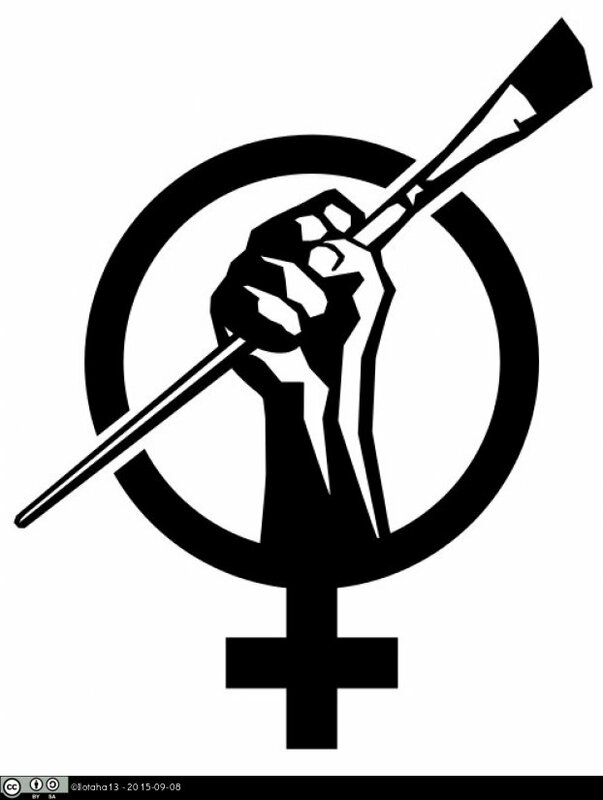 There are books or other works by women, or issues affecting women, that deserve quality articles on Wikipedia. If you have an idea for an article to create or improve, please do, but there will be suggestions if you are undecided. We will not be alone in the effort to share open knowledge about women. New York’s Museum of Modern Art, the National Portrait Gallery in Edinburgh, Tate Britain and the Archives Nationales in Paris are among dozens of institutions around the world hosting similar events in March. This event is open to all, whether past Wikipedia editors or complete newcomers. Martin Poulter, the Bodleian Libraries’ Wikimedian In Residence, will provide training. Email martin.poulter@bodleian.ox.ac.uk to register your interest. The event is made possible by funding from Wikimedia UK, the charity supporting Wikimedia projects. This is the first in our series of ‘how to’ blog posts from the Bodleian Libraries’ Wikimedian in Residence Martin Poulter. The posts accompany his Open Knowledge Ambassador series. There are still two sessions left – sign up at https://courses.it.ox.ac.uk/detail/ENLE4 and https://courses.it.ox.ac.uk/detail/ENLE3! This week, I ran the second workshop in the four-part Open Knowledge Ambassador series. In the appropriately scholarly surroundings of the the Bodleian Library’s Centre for Digital Scholarship, we took a look into the underbelly of Wikipedia that the great majority of its readers never see. It’s apt to be running the course now. At the end of January, a journal editorial warning of ‘research parasites’ (who analyse data they didn’t themselves collect) prompted an outraged but hilarious response. Hundreds of scientists used the #ResearchParasites and #IAmAResearchParasite hashtags on social media to defend the sharing and checking of research data. Climate scientists ‘confessed’ to not having personally launched their satellites into space, and Isaac Newton was sarcastically branded a ‘parasite’ for his remark that he saw far by standing on the shoulders of giants. It was a great example of the tension between those who think knowledge benefits from an open process, and those who want that process enclosed. Each workshop is 1.5 hours, and the emphasis on active learning means that a lot of this is spent in tasks in which we dig into Wikipedia and related sites or tools, and discuss what we find. This is a fun way for me to share my insider knowledge, and for participants to explore resources that are relevant to their own interests. Working with open resources has its headaches. This week’s starting point was the WikiProject Directory: an index of projects to improve specific subject areas of Wikipedia. When I brought the directory up on screen, it had just been massively vandalised, so I had to begin the presentation by reverting the vandalism. That’s never been a problem in Powerpoint. On the way, we’ve explored the strengths of the wiki platform as well as the weaknesses. A misconception among academics is that Wikipedia throws everything together without the traditional publishers’ concern for quality. It’s quite a shock for people to see how much contextual information there is about the quality and authorship of articles, and how much effort goes into various review processes. A museum creates an online image gallery of its exhibits. Educators write overviews of key historical events that are available in an eBook. Researchers publish some key facts and figures as a table in a PDF document. These might all be great resources, but it’s a mistake to call them ‘open access’ (as people sometimes do) just because they can be accessed without subscription. When we talk about ‘free and open’ we mean content that is not tied to one particular way of accessing it. We mean the ability to remix and reuse, not just read. What does a remix of knowledge and culture look like? In the course we’ve had hands-on experience with a few examples. Histropedia is independent of the Wikimedia charity, but uses data, images and text from Wikipedia and related projects to create interactive timelines. It provides a new and educational way to look at a topic. Other tools display Wikipedia’s knowledge on a map, in abstract conceptual space, or in a weird hybrid of encyclopedia and database. If Wikimedia sites and their contributors did not explicitly allow remixing, these kinds of tool would not exist, and the world of education and research would be poorer for it. True to the open spirit, I am documenting the workshops, and all participant feedback, on a public wiki. I’m also using Wikipedia talk pages to keep in touch with participants. The worksheets are available to download, as editable files. Anyone is welcome to use them to run a discussion or training session around Wikipedia and related sites. Note: it’s still possible for University of Oxford staff or students to book for Workshop 3: ‘Putting knowledge in‘ and Workshop 4: ‘Building collaborations‘. The #OxEngage Programme for 2016 is now available! Booking is required at our talks and events as places are limited. See the full programme for details. Issues of public engagement and demonstrating how work within Higher Education can have a beneficial impact on society have become increasingly important within the University. Online and digital technologies can play an important and exciting role in engagement activities, enabling you to reach, interact and work collaboratively with your audiences. The #OxEngage programme has been created to offer practical advice, share exemplars, and provide information on training, workshops and events that can support you in exploring the application of IT for impact. two panel sessions on academic blogging and digital crowdsourcing. This year, in a national first, #OxEngage will deliver a four-part course to help academics, students, and related staff work with Wikipedia. Oxford University staff and students will earn an ‘Open Knowledge Ambassador’ certificate for taking part in training workshops, spaced every two weeks through the upcoming term, that help them support activities such as edit-a-thons. Similar themes will also be addressed in a self-directed online course, open to all. Follow this blog along with the Engage Facebook page to hear all the latest updates. In a national first, Oxford University’s Bodleian Libraries and IT Services are collaborating on a four-part course to help academics, students, and related staff work with Wikipedia. Oxford University staff and students will earn an ‘Open Knowledge Ambassador’ certificate for taking part in training workshops, spaced every two weeks through Hilary term, that help them support activities such as edit-a-thons. 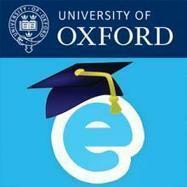 The programme is a part of Oxford’s annual Engage programme in digital communication for researchers. Although the course will be centred around Wikipedia, the title reflects that it is not about a web site, but about understanding and explaining the possibilities of freely-reusable open knowledge. This is increasingly topical in academia as more research outputs become open access, more learners use open educational resources and more cultural institutions share their digital media on open platforms such as Wikimedia Commons. The course, hosted in the Centre for Digital Scholarship in the Bodleian’s Weston Library, will be led by Dr Martin Poulter, the Bodleian Libraries’ Wikimedian In Residence. The sessions will involve active learning, based on assignments which involve exploring Wikipedia and related sites and report backing back to the group. On the way, each participant build a personal portal of tools and links related to their areas of interest. The focus is on building an understanding of Wikipedia’s strengths and weaknesses and involving colleagues in using it to support research and education. The course is not about the fine details of Wikipedia’s internal processes or its house style, but more about using open knowledge sites in an informed way and explaining them to others. For hands-on experience of improving Wikipedia articles, participants are recommended to register for one of next term’s public editathon events: those announced so far are a social internet editathon for Wikipedia’s 15th birthday in January and the first ever Tudor music editathon on 5 February. The first two workshops will look at ways to get and make use of open knowledge from Wikipedia and other sites, and at questions of quality and reliability. We will explore some of the open knowledge tools which are incredibly useful but usually only known to ‘power users’. The latter two workshops will explore ways of putting information in, including how to work with a group of experts to improve articles or share images. Enthusiasm for sharing knowledge, and helping others do so, is the only prerequisite. Session 1: What would a world of open knowledge be like? Session 3: Putting knowledge in. Queries should be emailed to Martin at martin.poulter@bodleian.ox.ac.uk. This week, we’ll be focusing on ways to both find and disseminate information and research online – from slideshows to videos, Wikipedia to screencasts. We are covering a lot of information this week and four Things, but they aren’t necessarily things that require you to sign up to a network or create something – although this is encouraged. Instead, we’d like you to explore the tools that we talk about and think about whether you would like to use them. As always, please continue to comment on each others’ blogs and ask questions! Thank you to all those who participated in today’s twitter chat. We had some great questions and discussion, and we’re certainly thinking about doing another one at the end of the term. For those who couldn’t participate, or want to catch discussion they missed, I’ve put all the tweets into a Storify story – arranged by conversation, question and tools. It’s available here: 23 Things chat Storify. Today is the 23 Things Twitter chat, so don’t forget to join us this afternoon, 3-4pm GMT, by keeping track of the hashtag #23things. Do you use social media to disseminate your research? How successful has that been? Have you used social media in higher education? What worked well (& not so well)? What are the challenges of using social media for academic work or higher education? What have you got out of the #23things experience so far? 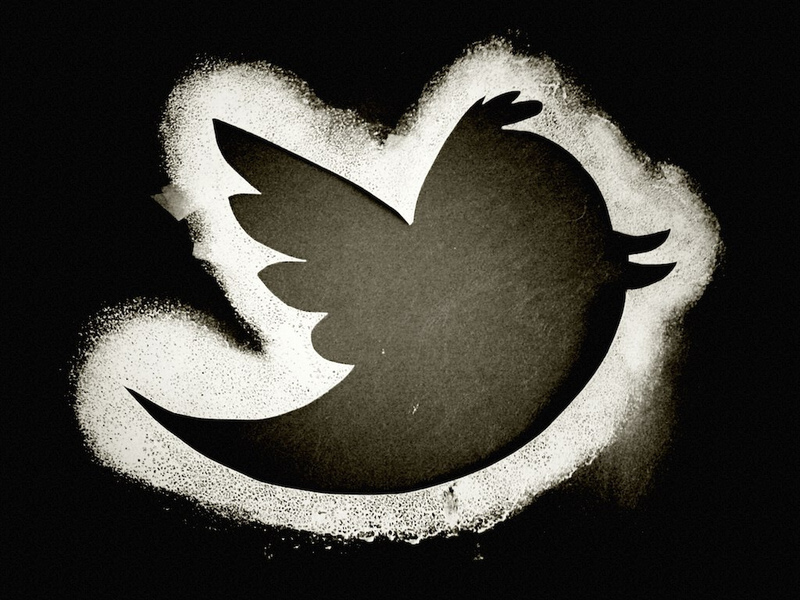 Who are your top 3 recommendations to follow on Twitter related to research or higher education? Which digital tool (Twitter, Storify, blogging, etc.) do/will you find most useful and why? How much time do you need to put in to get the most out of social media? Do you need to keep your personal and professional online presence separate? This week’s things are all about social networks. Engaging with social networks is an important part of online presence. Using social networks can help you connect with colleagues, peers and friends, stay up to date and get your name out there. There are hundreds of networks of various types different, some of which may be more suited for your work than others. This week we’ll focus on Facebook and LinkedIn, with a brief look at Academic.edu and mention of a few others you may wish to explore. In Thing 7, we talked about using Twitter for live twitter chats, such as the #phdchat that happens every Wednesday. We’re pleased to announce that we’ll be running a #23Things chat next Thursday, 1 November, from 3-4pm, together with the Digital Humanities 23 Things programme at Cambridge. We’ll be talking about social media use in research and the higher education setting. It’s super easy to participate; all you have to do is make sure you’re on Twitter between 3 and 4pm and keeping an eye on tweets with the hashtag #23things (hint: click on that link for a saved #23things search). We’ll start off the conversation with some questions for you to think about, and we’re hoping to get some of our Engage presenters to take part as well so that you can ask them about their experiences using social media for research. You can respond to questions with thoughts from your own experiences or ask questions of other participants. If you’d like to read more about tweet chats and how to get the most out of them (don’t be afraid to ask questions! Please do introduce yourself! ), take a look at this Tweet Chats 101 article. Although the chat is #23Things-based, you don’t have to be an actual 23 Things participant to take part. We hope to ‘see’ you on Thursday!